September 17 - November 15, 2013. 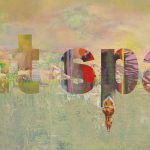 Silent Spaces features the paintings by Mena Martini and John Capitano. Join us in viewing the paintings of two artists with very different styles, but who both explore daily moments of transition and change. Where John Capitano walks us through the rooms of a well-used house, whose contents clearly demarcate their function, Mena Martini examines shifts in emotional states from sound to silence and from mystery to awareness.